A sallet helmet is often regarded as the forerunner of the modern-day combat helmet, and when you are looking at this 15th Century Sallet, it is not hard to see why, as this helmet possesses a shape that provides good coverage and protection to the head. 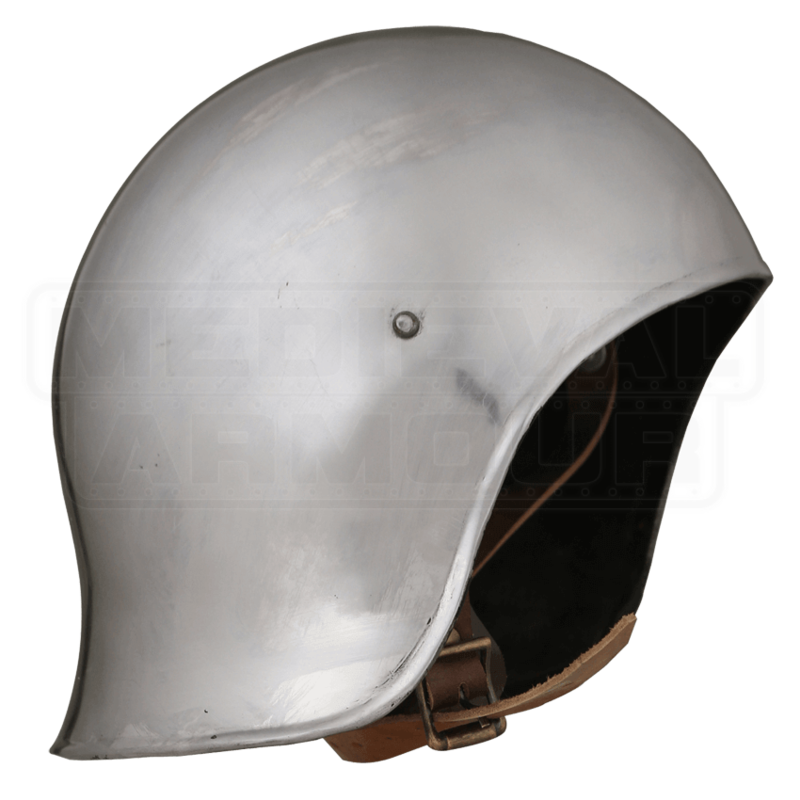 It is oftentimes the most cost-effective design that is used when it comes to equipping an army and this simple sallet helmet is, indeed, quite cost-effective. A helmet like this would have been simple and easy to produce quickly, while providing a good degree of protection to any soldier who wore it. 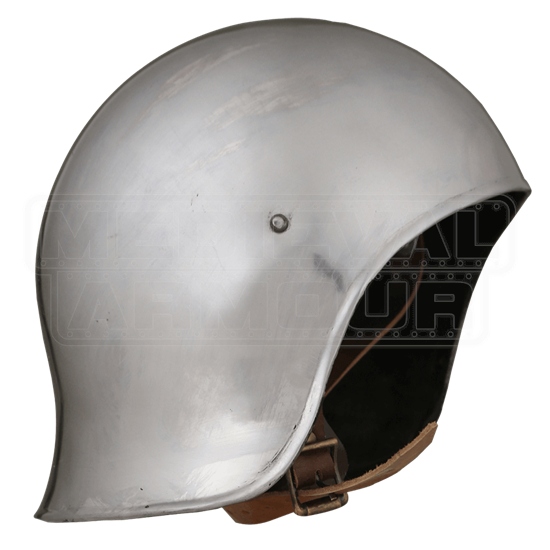 The helmet is shaped like most sallet helms, possessing a rounded crown and a slightly-swept back to protect the neck. Unlike the common depiction of a sallet, though, this helmet does not feature a visor, instead leaving the warriors face open to make breathing and seeing easier. The helmet is made from quality steel, making it a great piece to wear any time you head into mock-battles or LARP combat, especially when you pair this 15th Century Sallet helmet up with the 15th Century Foot Soldier Half Armor to create an armored look that is decidedly medieval and definitely protective.